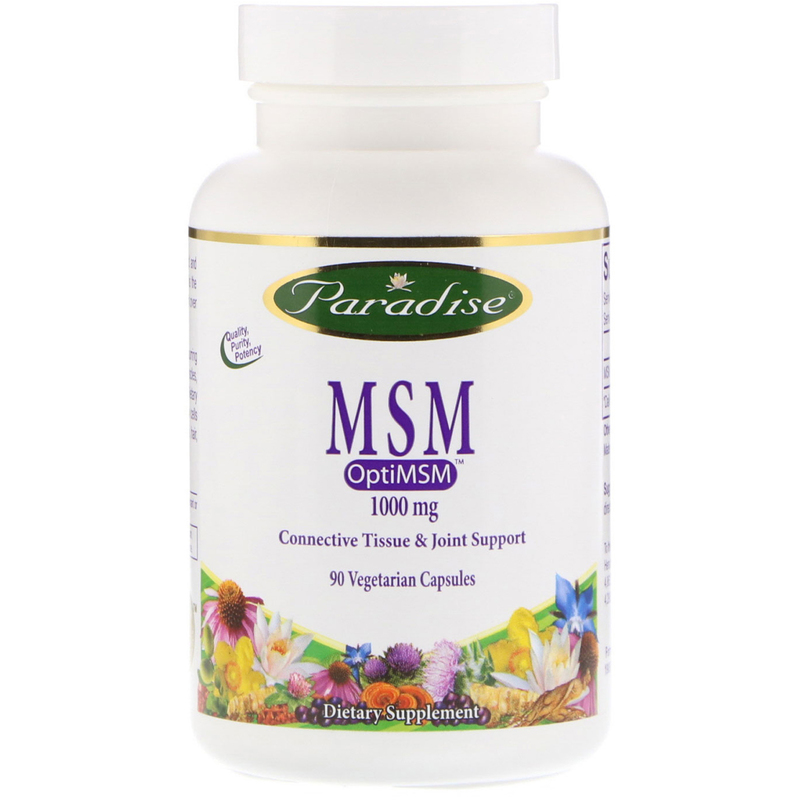 Paradise OptiMSM is the original patented, licensed and tested MSM backed by over 20 years of research. It is the form used by Dr. Stanley W. Jacob, M.D. in his work with over 13,000 patients. MSM (Methylsulfonylmethane) is a naturally occurring organic sulfer compound that is found in the body’s muscles, nerves, tissue, skin, hair, bones and joints. Dietary supplementation of MSM supports the creation of new cells and connective tissue and helps promote healthy skin, hair, muscles and flexible joints. 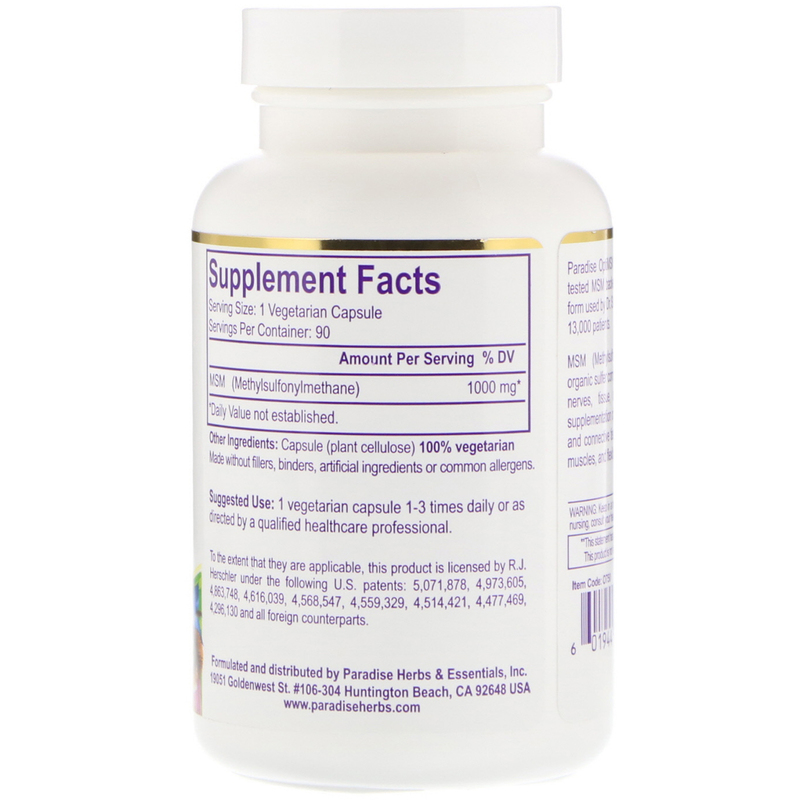 Capsule (plant cellulose) 100% vegetarian made without fillers, binders, artificial ingredients or common allergens.